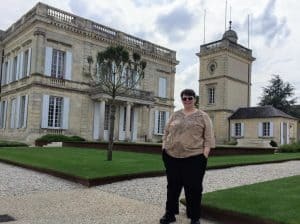 We are heading back to Pauillac to look at the offers for Carruades de Lafite–the second wine of Ch. Lafite-Rothschild–the 5th Growth Ch. Pedesclaux, the 2nd Growth Ch. Pichon Longueville Comtesse de Lalande and their wine second wine–Reserve de la Comtesse de Lalande. 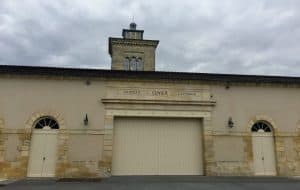 In our previous forays to this highly regarded Left Bank commune we looked at the 2017 Bordeaux Futures offers for Lynch-Bages, d’Armailhac, Clerc-Milon and Duhart-Milon as well as that of the 5th Growth Ch. Haut-Batailley in the very first post of this continuing series covering the 2017 campaign. You can check out the links at the bottom of the page to see more offers that we’ve explored. Carruades de Lafite is the second wine of the legendary First Growth, Ch. Lafite-Rothschild. First introduced in the 1850s during the period of “the Vandelberghe Mystery” ownership, Lafite helped pioneered the practice of producing a second cuvée to compliment the Grand Vin. However, in practice the designation was used sparingly for the next 100 years till the Rothschild family reintroduced the wine in the 1960s as Moulin de Carruades–named after a parcel of vineyards on the Carruades plateau that was first acquired by the estate in 1845. Located near the chateau, most of the fruit from these prime plantings actually end up in the Grand Vin instead of their namesake wine. 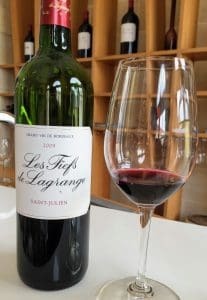 Instead, Carruades de Lafite (renamed in the 1980s) gets its fruit from selected parcels designated for Carruades as well as some younger vines from the 112 ha (277 acre) vineyards of Lafite since vines less than 20 years of age are never used for the Grand Vin of Lafite. All the vineyards of Lafite are farmed organically and sustainably with some parcels farmed biodynamically. Since 2016, Eric Kohler has overseen the winemaking of Lafite and its second wine. Prior to taking over as technical director, Kohler was in charge of the Domaines Barons de Rothschild estate of Domaine d’Aussieres in Languedoc as well as their South American properties–Vina Los Vascos in Chile and Bodegas Caro, their joint-venture project with the Catena family in Argentina. In 2017, Jean Guillaume Prats (of Cos d’Estournel and LVMH fame) was named president of Domaines Baron Rothschild with Saskia de Rothschild, daughter of Baron Eric de Rothschild, joining as chairwoman in 2018. The 2017 vintage is a blend of 60% Cabernet Sauvignon, 35% Merlot and 5% Cabernet Franc. Around 20,000 cases of the second wine are made each year. The vineyards of Ch. Lafite circa 1900-1920. 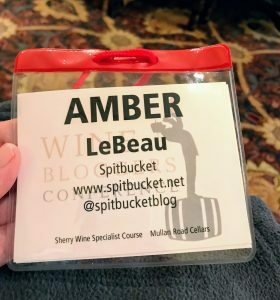 Since I haven’t had the opportunity to taste any previous vintages of Carruades de Lafite or Lafite-Rothschild, my instinct in a vintage like 2017 is to pass in favor of buying wines that I have a personal track record with. But damn is this 2017 offer tempting–especially with Total Wine’s offer that is more than $30 less than the Wine Searcher average and only requires a payment of 50% ($104.87) upfront. I had to triple check it just to make sure that I had the price right. While I don’t personally buy Bordeaux futures as investments, there is no doubt that the price of this wine is going to continue to rise. Besides 2016, you have to go back to 1984 (WS Ave $243) to find a vintage of Carruades de Lafite that is averaging less than $300 a bottle with several vintages (2005, 1992, 1991) averaging over $400 a bottle. 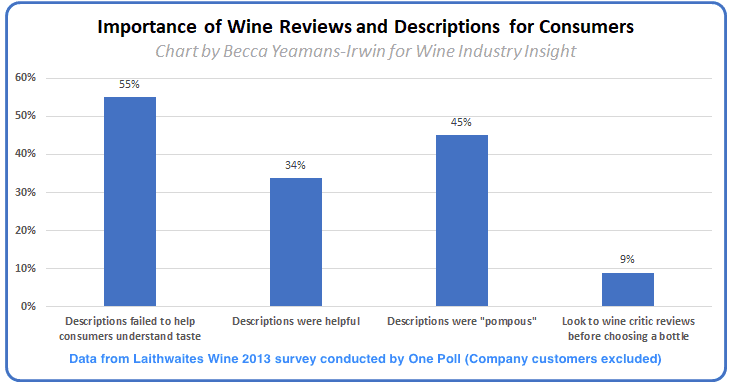 This is another head vs heart battle except it’s my heart telling me to stick with the 2017 wines that I know I will personally enjoy drinking while my head is telling me to look at these hard numbers and go with what looks like a very solid buy. I’m going to have to ponder this a bit more but right now I’m leaning towards Buy for maybe a bottle or two. Ch. Pedesclaux is a relatively young estate that was founded in the early 19th century by Pierre Urbain Pedesclaux who purchased land near Ch. Grand-Puy-Lacoste and d’Armailhac. 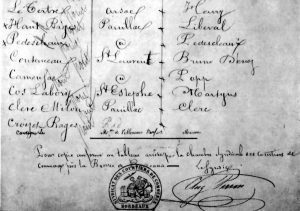 A well-connected negociant family (Edmond Pedesclaux was one of the brokers who helped craft the original 1855 classification), the Pedesclauxs owned the estate until 1891 when it was sold to the Comte de Gastebois. The next several decades saw years of neglect until Lucien Jugla of Ch. Colombier-Monpelou purchased the property in 1950. Jugla and his heirs carried out extensive replanting in the vineyards and it was during this time that the vineyards of Pedesclaux became very Merlot-dominant. 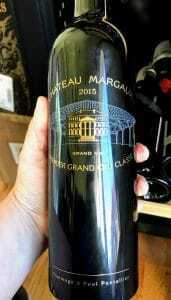 In 2009, the Jugla family sold Pedesclaux to Jacky Lorenzetti who owned the St. Estephe Cru Bourgeois of Lillian Ladouys and in 2013 acquired a 50% interest in the Margaux 3rd Growth Ch. d’Issan. In addition to his Bordeaux estates, Jacky Lorenzetti is also president of the Rugby club Racing Métro 92 based in the Paris suburb of Nanterre. The estate still has significant amount of Merlot planted with 48 ha (119 acre) estate planted to 48% Merlot, 47% Cabernet Sauvignon, 3% Petit Verdot and 2% Cabernet Franc. 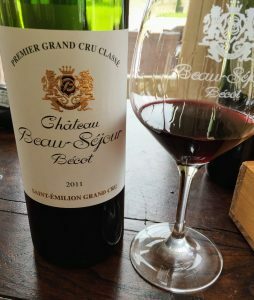 However, most of the Merlot is used in the estate’s second wine, Fleur de Pedesclaux, with many vintages of that wine being 90% Merlot and the 2012 vintage being 100% Merlot. 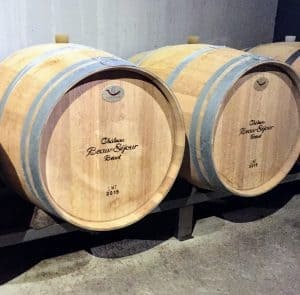 The 2017 vintage of Ch. Pedesclaux is a blend of 65% Cabernet Sauvignon, 25% Merlot, 7% Cabernet Franc and 3% Petit Verdot. Around 9000 cases a year are produced. 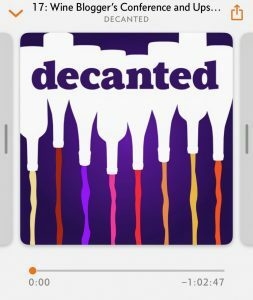 I’ve only had a couple opportunities to taste Pedesclaux–all from vintages during the Lorenzetti era–but I haven’t been terribly impressed. 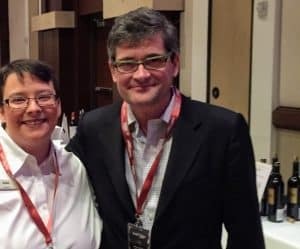 The wines weren’t offensive at all, but I was hard-pressed to justify their price versus the value being delivered by their sister estate of Lillian Ladouys from the same vintages in the $25-35 range. The potential of the terroir is undoubted so this estate is certainly worth keeping an eye on and revisiting. But for the same price I’m more incline to revisit the 2014 and Pass on buying futures of the 2017. I will, however, likely pick up some bottles of the 2017 Lillian Ladouys (WS Ave $20) when they hit retail shelves in 2020. What is now Ch. 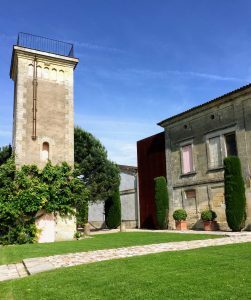 Pichon Longueville Comtesse de Lalande and its neighboring estate, Ch. Pichon Longueville Baron, were first planted in the 1680s by Pierre de Mazure de Rauzan who also owned the large Rauzan estate in Margaux. His daughter, Thérèse, married the Baron Pichon de Longueville in 1694 and received the property as part of her dowry. Clive Coates notes in Grand Vins that during the early 18th century, the quality of the Pichon Longueville estate was of high repute, second only to that of Latour in the commune. Upon the death of Baron Joseph de Pichon Longueville in 1850, the property was divided between his 5 children with his two sons receiving the portion that would become Ch. Pichon Baron and his three daughters– including Virginie, the Comtesse de Lalande–inheriting what would become Ch. Pichon Longueville Comtesse de Lalande. 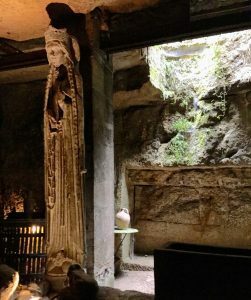 The property would stay in the hands of the sisters and their heirs until 1925 when it was sold to Edouard and Louis Miailhe. The Miailhe brothers expanded the vineyard holdings of the estate and planted significant acreage of Merlot. 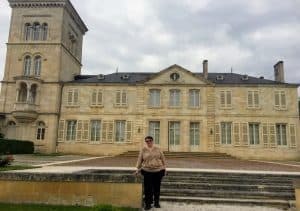 Edouard’s daughter, May-Eliane de Lencquesaing inherited the property in 1978 and would go on to take Pichon Lalande to high levels of success and recognition. 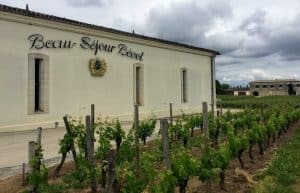 In 2007, she sold the property to the Rouzaud family of the Champagne house Louis Roederer where it is today part of a portfolio that includes the Bordeaux estates of Chateau de Pez and Ch. 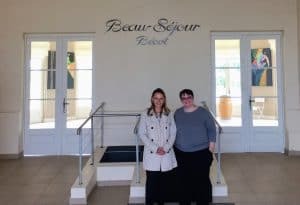 Haut Beausejour in St. Estephe as well as Chateau Reaut la Graviere in Lalande-de-Pomerol as well as managing interest in many other properties across the globe. Since 2012, Nicolas Glumineau (formerly of Ch. 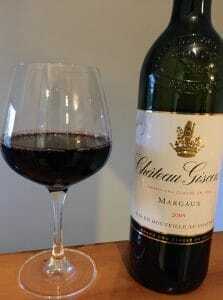 Montrose) has been in charge of winemaking with Jacques Boissenot and Hubert de Boüard (of Ch. Angelus fame) as consultants. Located on the Gironde side of the D2 highway, most of Pichon Lalande’s 89 ha (220 acres) are located next to Ch. 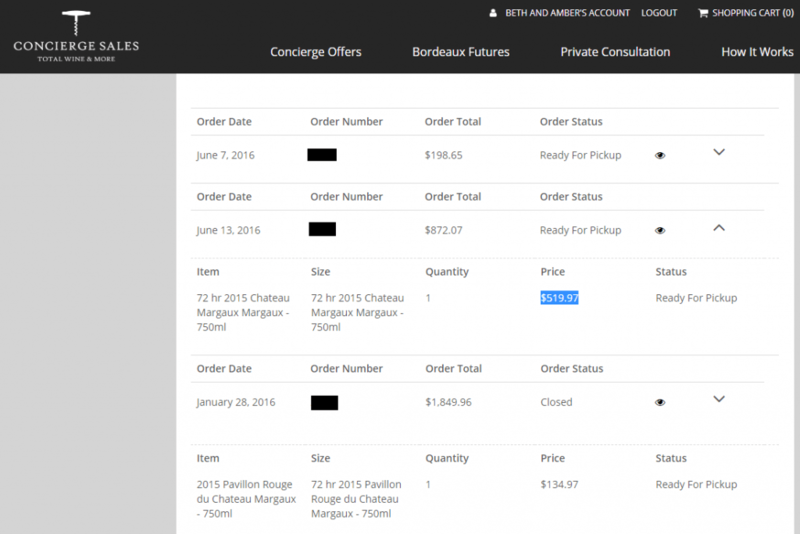 Latour and Pichon Baron with some parcels close to Lynch-Bages. 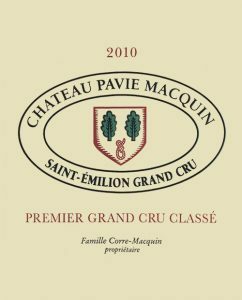 The estate also owns 11 ha of vineyard land in St. Julien that neighbor the vineyards of Léoville-Poyferré and Léoville-Las-Cases. Because these vines were historically used in the wines Ch. Pichon-Lalande before the 1855 classification, they are still permitted to be used in the Grand Vin or second wine of the estate. All the vines are farmed sustainably with several hectares being farmed 100% organic. Since 2014, Pichon Lalande has been experimenting with biodynamics with Vincent Masson consulting. The 2017 vintage is a blend of 70% Cabernet Sauvignon, 23% Merlot, 6% Cabernet Franc and 1% Petit Verdot. Around 15,000 cases a year are produced. Pichon Lalande is one of my favorite estates and virtually an automatic buy every year. While the prices have been steadily raising, I always believe that the quality and value they deliver out performs many “Super Seconds”. 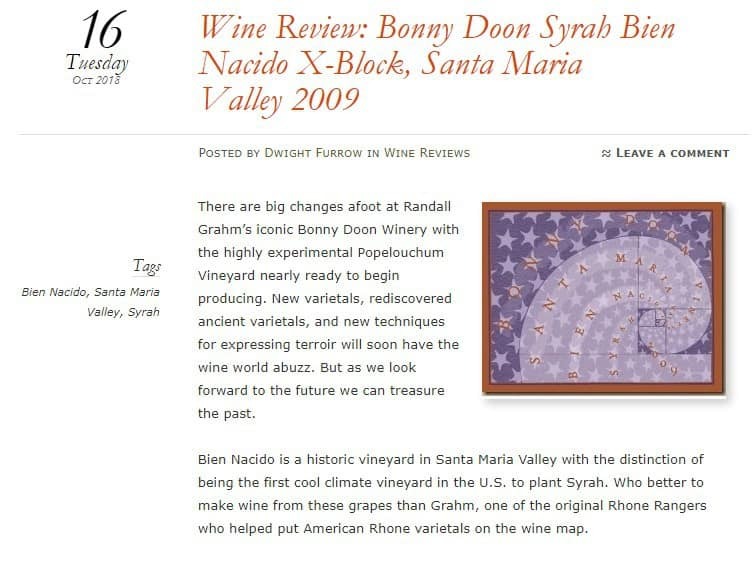 Unquestionably age-worthy, I appreciate the versatility in the estate’s style to deliver approachable pleasure in its youth in both stellar (2005, 2010) and rougher vintages (2011, 2013). While I may end up keeping this bottle longer than my ideal “cellar defender” role of 5 to 7 years, I see little reason to not think that this consistency will continue. With prices in line with the very delicious 2014, this is a definite Buy for me. Ch. 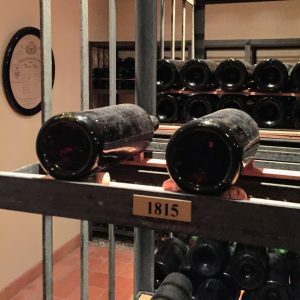 Pichon Lalande produced its first second wine to compliment their Grand Vin in 1874. 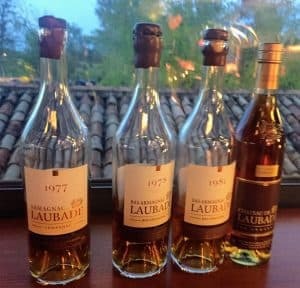 However, like Lafite and their second wine, the designation was only used sparingly until Reserve de la Comtesse de Lalande was introduced for the 1973 vintage. While it can include fruit from any of Pichon Lalande’s holdings (including their St. Julien vines), a consistent component of the Reserve de la Comtesse de Lalande has been parcels located in the commune of Ste. Anne near the 5th Growth Ch. Batailley. The 2017 vintage is a blend of 60% Cabernet Sauvignon, 36% Merlot, 2% Cabernet Franc and 2% Petit Verdot. Around 6,000 cases a year are produced. While I adore the Grand Vin of Pichon Lalande, and am usually quite pleased with the value of most seconds wines, I will confess that the Réserve de la Comtesse has never really wowed me. For whatever reason, this is one second wine that has always felt decidedly “second best”. It’s likely that as Pichon Lalande has been steadily increasing the amount of Cabernet Sauvignon in their vineyard, the fruit of these young vines have been making their way to this second wine–and that may contribute to the harshness and hollowness that often characterize my notes of the Réserve de la Comtesse. There are plenty of other more compelling buys in the same price range that makes this a Pass for me. 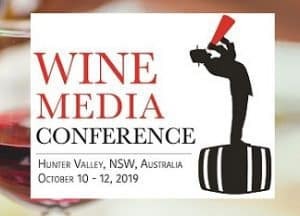 Tagged 1855 Classification, Angelus, Antonio Galloni, Baron Eric de Rothschild, Baron Joseph de Pichon Longueville, biodynamic, Bodegas Caro, Bordeaux futures, Cabernet Franc, Cabernet Sauvignon, Carruades de Lafite, Catena family, Cellar defender, Ch. Batailley, Ch. Colombier-Monpelou, Ch. d’Issan, Ch. Haut Beausejour, Ch. Lafite-Rothschild, Chateau de Pez, Chateau Reaut la Graviere, Clive Coates, Comte de Gastebois, Cos d'Estournel, Decanter, Domaine d’Aussieres, Domaines Barons de Rothschild, Edmond Pedesclaux, Eric Kohler, Grand Puy Lacoste, Grand Vins, Hubert de Boüard, Jacky Lorenzetti, Jacques Boissenot, James Suckling, Jane Anson, Jean-Guillaume Prats, Jeb Dunnuck, Jeff Leve, JJ Buckley, K&L, Latour, Léoville Las Cases, Leoville Poyferre, Louis Roederer, Lucien Jugla, LVMH, Lynch-Bages, May-Eliane de Lencquesaing, Merlot, Miailhe brothers, Montrose, Mouton-Rothschild, Nicolas Glumineau, Organic viticulture, Pauillac, Pedesclaux, Petit Verdot, Pichon Baron, Pichon Lalande, Pierre de Mazure de Rauzan, Pierre Urbain Pedesclaux, Reserve de la Comtesse de Lalande, Rouzaud family, Saskia de Rothschild, second wine, Spectrum Wine Auctions, Super Seconds, Sustainable Viticulture, the Vandelberghe Mystery, The Wine Cellar Insider, Total Wine, Vina Los Vascos, Vincent Bache-Gabrielsen, Vincent Masson, Vinfolio, Vinous, Wine Advocate, Wine Enthusiast, Wine Searcher, Wine Spectator.